Smartphone lovers all around the world are eagerly waiting for the launch of Samsung’s next flagship – The Galaxy S6. There is no doubt that, Samsung comes out with something completely new and innovative with its S, smartphone series. This year, Samsung will be launching the sixth edition of its S series on 1st March. 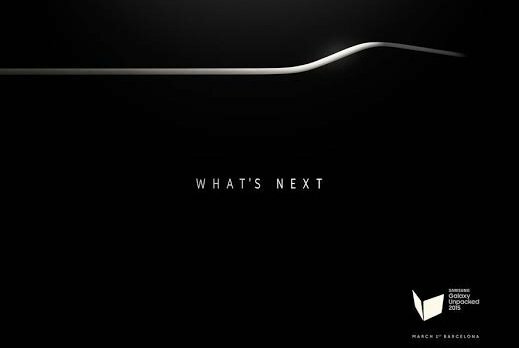 Everyone is expecting something unexceptional amazing by Samsung in this upcoming version of Galaxy S flagship. On the other hand, Samsung is also leaving no stone unturned for making this upcoming flagship a massive hit in the mobile market. We hope Samsung will hit the bull’s eye this time with the Galaxy S6. At TechAhead, we strive to come up with the best of the mobile industry. Being an award-winning mobile consulting, design and development company, TechAhead isn’t just restricted to developing premium custom mobile solutions for Fortune 1000 and startups. But, also believe in bringing news and updates from the mobile sector through our official blog space to the readers. Recognized by some globally trusted Independent research firms like – Best Web Design Agency, Clutch, Sourcelysis, and many others, TechAhead is also a proud member of NASSCOM. Stay tuned to TechAhead official blog for our review on Samsung Galaxy S6 very soon.